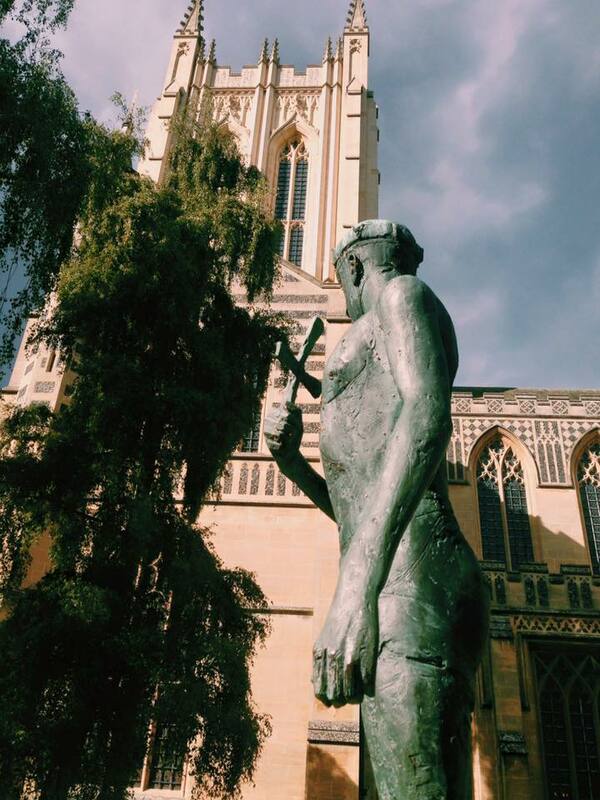 I was in Bury St Edmunds this week, taking a breather from writing The Mighty Healer. I’m immersed in research about Bedlam lately, and there’s only so many times one can read the phrase ‘urine-soaked straw bedding’ before depression sets in. So I thought I’d take a break and return to my comfort zone: hideously brutal martyrdoms. I photographed this statue of Saint Edmund outside Bury cathedral. In recent years, the interior has been restored to its colourful medieval self, all sky blues and reds and golds, like something a child might paint. The nearby abbey was badly hit during Henry VIII’s dissolution of the monasteries – only a few romantic ruins remain – but the site was once a popular pilgrim destination: the shrine of Saint Edmund, martyr king of England. Edmund was the king of East Anglia during the 9th century. 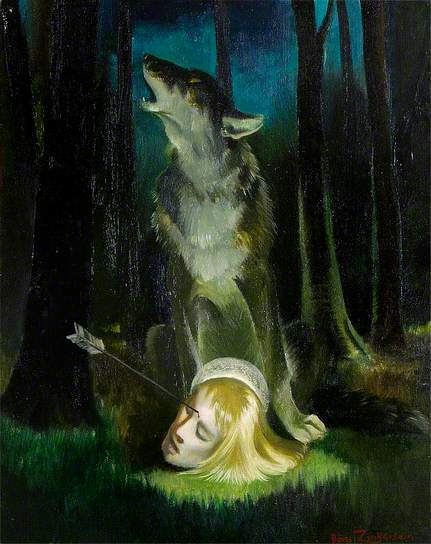 Now the patron saint of wolves, pandemics, and victims of torture, Edmund’s feast day – the 20th of November – marks his death at the hands of Ivar The Boneless during the Viking invasion of England. He is considered by some to be the true patron saint of England. In fact, he was until 1348 when he was officially replaced by St George, presumably because an armour-clad hunk thrusting a spear through a dragon is a more respectable national emblem than a weed with a bowl-cut meekly accepting a beating from a gang of Danes. St George being of Greek/Palestinian blood, he doesn’t make an awful lot of sense as Patron saint of England beyond the ‘slaying things is wicked cool’ angle. There’s a campaign to reinstate St Edmund; I met a few of the supporters in 2006, just before Parliament rejected their petition to bring him back. They’re still going, if you’re interested. “King Edmund, against whom Ivar advanced, stood inside his hall, and mindful of the Saviour, threw out his weapons. Lo! the impious one then bound Edmund and insulted him ignominiously, and beat him with rods, and afterwards led the devout king to a firm living tree, and tied him there with strong bonds, and beat him with whips. In between the whip lashes, Edmund called out with true belief in the Saviour Christ. Because of his belief, because he called to Christ to aid him, the heathens became furiously angry. 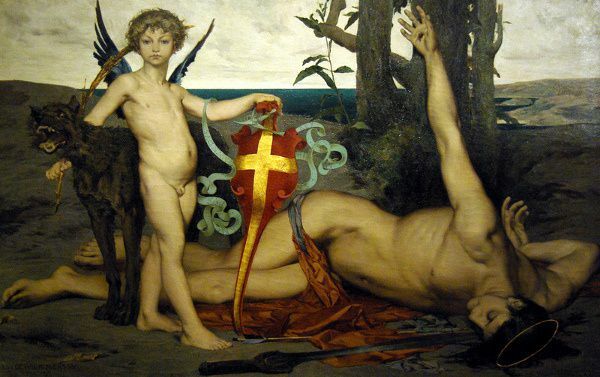 They then shot spears at him, as if it was a game, until he was entirely covered with their missiles, like the bristles of a hedgehog (just like St. Sebastian was). – Ælfric of Eynsham, Old English paraphrase of Abbo of Fleury, ‘Passio Sancti Eadmundi’. 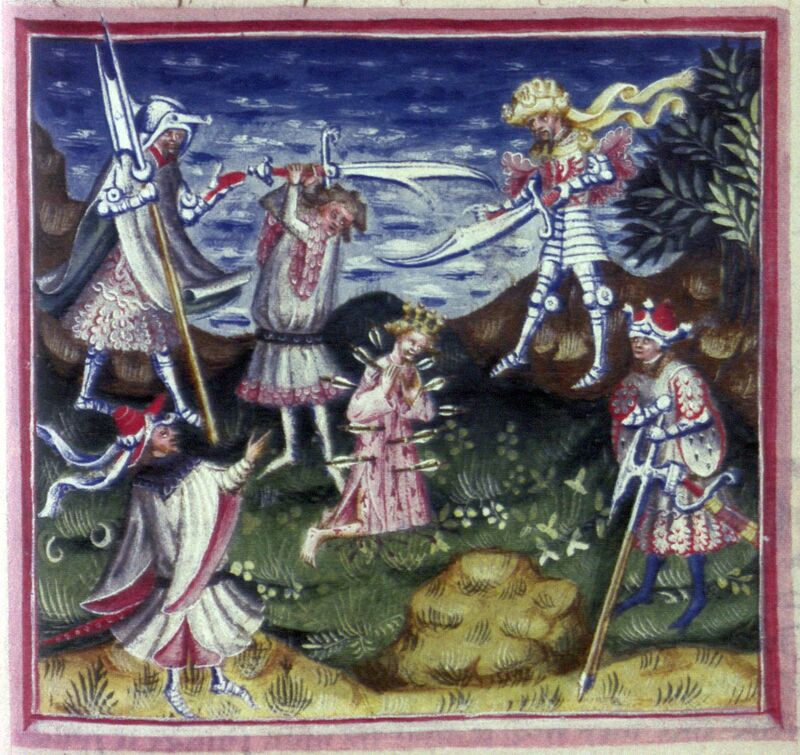 Ivar had Edmund’s severed head thrown into the woods. Edmund’s followers searched for him, calling out “Where are you, friend?” the head answered, “Here, here,” until they found it, clasped gently between a wolf’s paws. 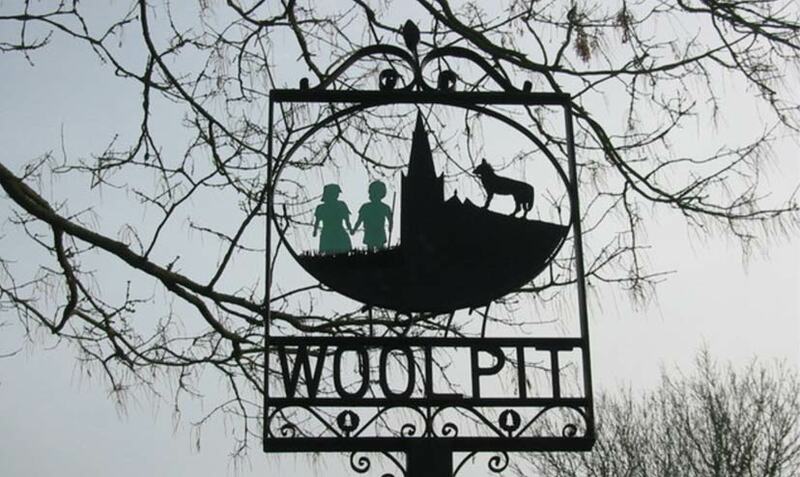 The villagers then praised God and the wolf that did His work. It walked tamely beside them before vanishing back into the forest. 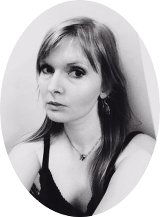 The 14th century poet John Lydgate called the “precious charboncle of martirs alle”. If you believe Lydgate, Edmund performed dozens of miracles after his death, including setting fire to an uncharitable priest’s house, materialising before the Danish King Sweyn and stabbing him with a spear (because you would, really, wouldn’t you? ), and my favourite, catching a Flemish pilgrim in the act of stealing jewels from his shrine whilst pretending to kiss it. Edmund miraculously glued the pilgrim’s lips to the shrine until he apologised. Wunderkammer: The Master & Margarita. 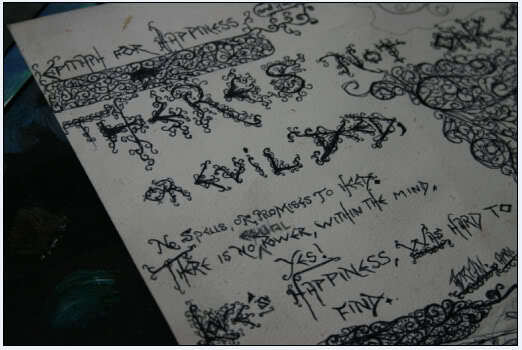 Manuscripts don’t burn. A few years ago, I was absorbed in a book at a bus stop when a man materialised in front of me. Grinning, the stranger leant in so close that our noses almost touched. Mikhail Bulgakov’s The Master and Margarita is one of those books I thrust at people like a zealot. “No, really. You need this. You. Need. 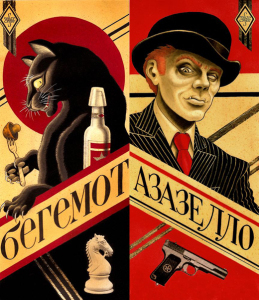 This.” The Devil’s minions – a joker with a pince-nez, a thug, and a wise-cracking, vodka-swilling cat – wreak havoc across 1930s Moscow. If that doesn’t excite you, you’re beyond help. Now considered a twentieth-century classic, The Master and Margarita was nearly lost to history. 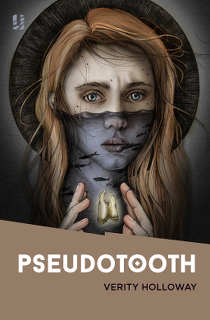 A jab at Russian state-sanctioned atheism and the stranglehold of Soviet bureaucracy, the novel is laugh-out-loud-in-public-like-a-lunatic funny, yet heartfelt and romantic, a channel for Bulgakov’s frustration and depression. Juxtaposing his contemporary Russia with Biblical Jerusalem, the story demonstrates Bulgakov’s keen intellect and interest in ethics and questions of personal freedom – all of which could get a writer killed in Stalin’s Russia. 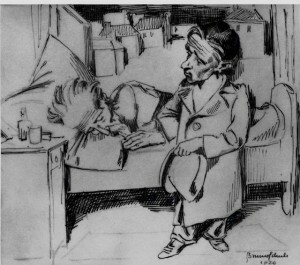 Shortly after kicking a morphine habit in 1919, Mikhail Bulgakov gave up his life as a country doctor to write full-time (just as well, considering he managed to rip out a sizeable chunk of a man’s jaw during a tooth extraction). He enjoyed early success with his plays and short stories before finding his niche, blending merciless political satire with the fantastical. Then, in the 1920s, censorship caught up with him. 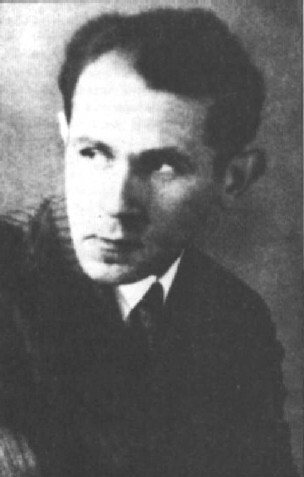 Stalin personally banned Bulgakov’s play The Run, and the rest of his work, if not banned outright, received brutal criticism for making fun of the Soviet regime. Surreally, Stalin was a fan of Bulgakov. Allegedly, he saw The White Guard performed 15 times and went so far as to step in and protect him from his harsher critics, claiming dangerous political jargon like ‘counter-revolutionary’ was beneath a writer of such calibre. Bulgakov must have felt in league with the Devil. 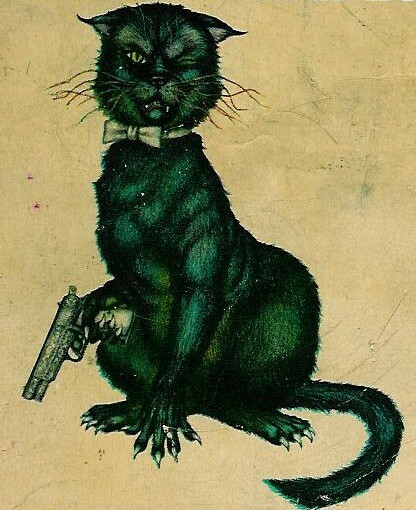 The censorship took its toll on Bulgakov’s mental health. 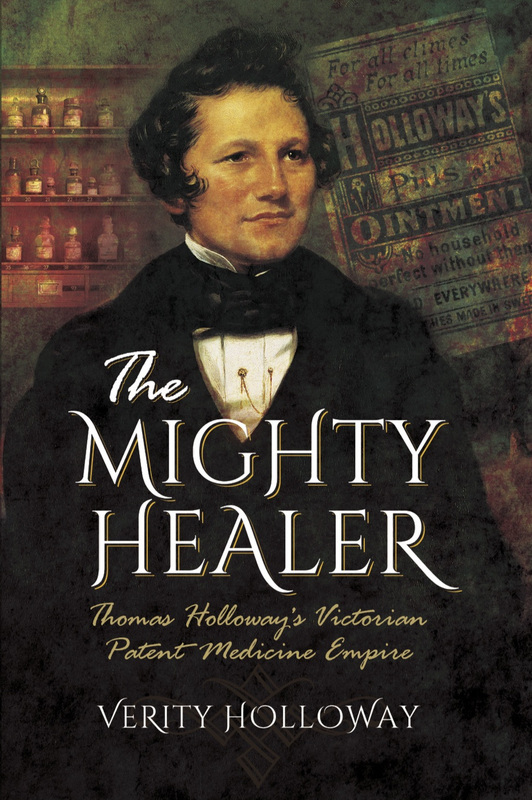 As a medical man, he knew he was likely to die young of hereditary kidney disease, and his life’s work was being ‘killed’, as he put it, within his lifetime. In a staggering moment of chutzpah, Bulgakov wrote to Stalin – mad Stalin, Stalin of the Gulags and the purges – demanding to be taken off the blacklist or allowed to leave the Soviet Union. Stalin let him resume his day-job the Art Theatre. But Bulgakov was a watched man, increasingly bitter and depressed. 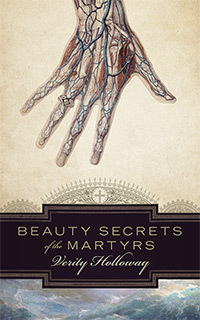 The manuscript he had been working on since the 1920s – the one that would eventually become The Master and Margarita – worried his family and friends. It was an impassioned treatise on artistic and spiritual freedom, and the satire was razor-sharp. Everyone privileged enough to be shown a glimpse loved it, and everyone knew it would never see the light of day. 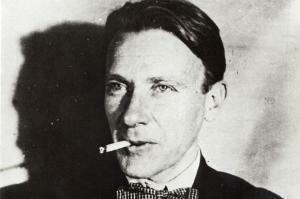 Bulgakov never saw his masterpiece published. After his death at 49, his wife Elena strove to find a publisher who’d agree to work with such dangerous material. In the end, she could only persuade a small periodical to release the novel in serial form, twenty-six years after the author’s death. While I was finishing my MA, I had a retail job in the centre of Cambridge. The shop no longer exists, thanks to the recession, but it was an exceedingly small space inside a lopsided Tudor building and could usually only house one member of staff at a time. This made it a lonely job, and therefore a magnet for other lonely people who would pop in for a chat about their heroin withdrawals, or try to convert me to Mormonism, or, once, rush in and sob all over the counter about the exam they failed and how their dad back in China was going to murder them. So I wasn’t too surprised when my boss handed me a sheet of paper with what looked like Hebrew scribbled on it. No, I can’t read it either. 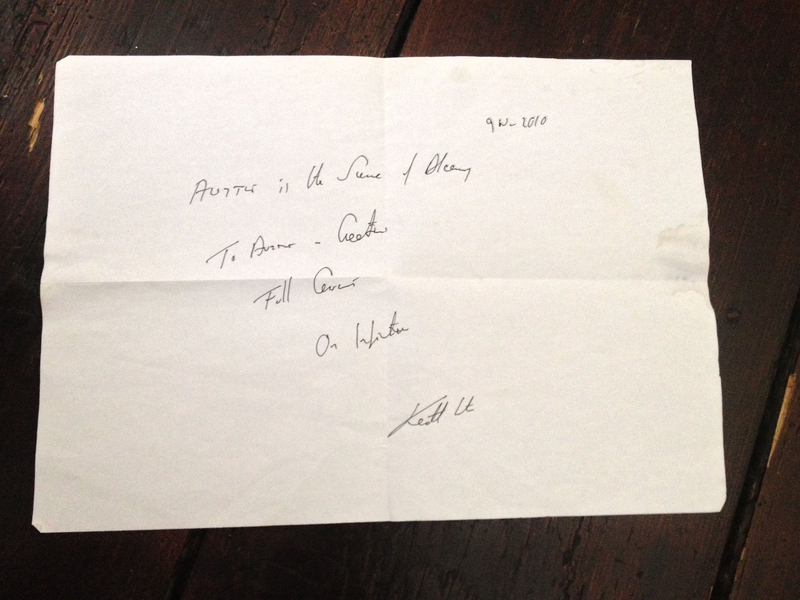 If you’ve lived in Cambridge for a few years, you’ll recognise the handwriting. This is Barmy Art. He’s one of the city’s treasures, along with Man Playing Guitar In The Bin, and Heavy Metal Bicycle Guy. He graffitis what can only be described as profound nonsense, usually mathematical equations or ramblings about the cure for all illness, and, once “Education? You make me laugh”. You can go months without seeing his distinctive black markings, then several crop up all over the place. 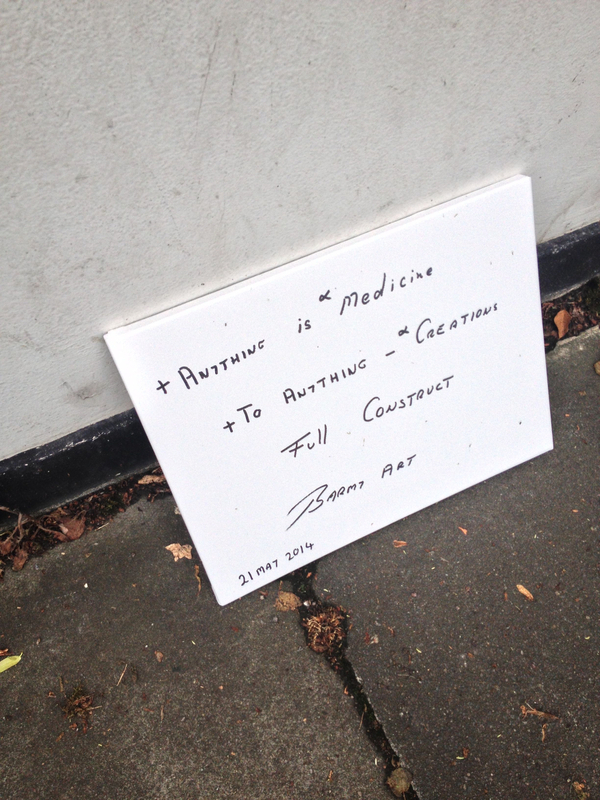 He’s moved onto canvasses, one of which I found this morning propped against some student accommodation. He was in the papers a couple of years ago for improving the walls of Jamie Oliver’s restaurant with pi symbols and something about Beethoven, sparking a brief debate about art vs vandalism that probably only made him cackle. If his work at Jamie’s was anything like the five foot long “HAIL HORRORS HAIL” he left on a building site wall in Trinity Street, I commend him. I like eccentrics, and I hope Barmy Art never vanishes. Allegedly, he was frequently spotted during the ’90s with a packet of Bombay mix strapped to his head, but that sounds a bit rum, even for Cambridge. There’s a Flickr pool dedicated to his delightful weirdness here. 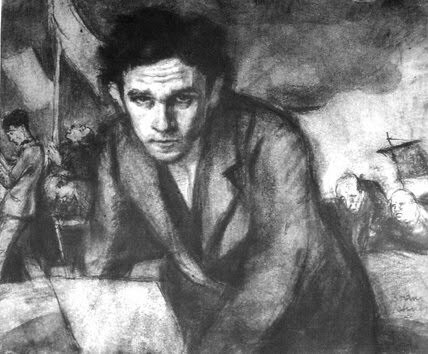 It’s hard to separate the writing and art of Bruno Schulz from the tragedies of his life and death. Schulz’ peculiar inner world was shaped by the traumas of WW1, the death of his father, and an almost pathological solitude that cut him off even from his fellow Jews in the ghetto. In the wake of his death at the hands of a Nazi officer in 1942, many of his drawings and his final literary work, The Messiah, were lost forever. Under cover of darkness, a friend carried his body from where it lay in the street to a nearby Jewish cemetery. No trace of his grave site remains. I first became aware of Schulz through the Brothers Quay 1986 film of his short story collection, The Street of Crocodiles. 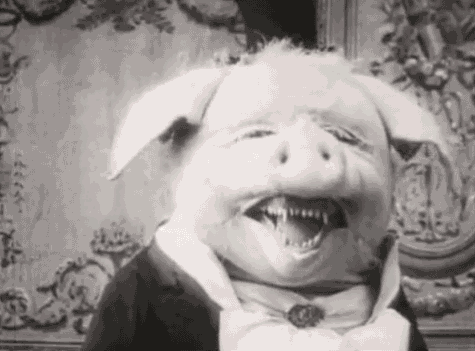 Terry Gilliam called it one of the most beautiful films ever made, and he’s not wrong. The stuttering dolls and the clash of rusty machinery alongside throbbing organic matter stay with you long after the twenty minute film is over. I only read the book recently, needing something brief after a massive Donna Tartt blowout. The Street of Crocodiles bears little literal resemblance to the film, but thrums with the same unsettling energy. Beginning in a stiflingly hot day in the Polish city of Drogobych where Schulz lived and died, the reader is introduced to the strange inhabitants of the city, wheeling about like beetles on the baking pavement. Then come the even more disconcerting denizens of the family home. A shy, thin young man, Schulz inserts himself as an unobtrusive narrator, watching the strange comings and goings of his family with little concern for the creeping madness of his father and the violence of the strangely powerful servant Adela. Schulz is most commonly lumped in with Kafka and Proust. Having only read Crocodiles so far, he reminds me most of magical realists like Angela Carter and Mikhail Bulgakov; more introverted, like a quiet cousin of theirs, but just as poetic and hilarious. Reality goes in. Imagination – distilled – comes out. Schulz’ drawings remind me of those of his contemporary Mervyn Peake – probably the reason I warmed to him so quickly. 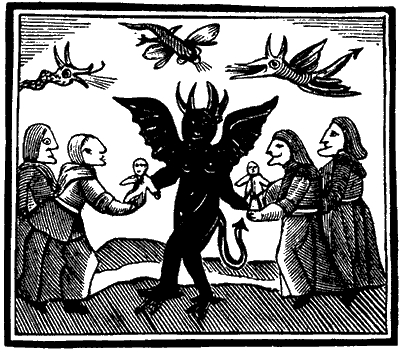 Schulz’ hollow-cheeked Jews wouldn’t be out of place in The Hall of Bright Carvings; Peake’s Mister Flay would be quite at home in The Book of Idolatry. Sideways black comedy came naturally to them both, although it’s impossible to look at them side-by-side without the sad realisation that Peake documented the atrocities of the Holocaust as an official war artist while Schulz – and so much of his surreal, beautiful work – did not survive it. 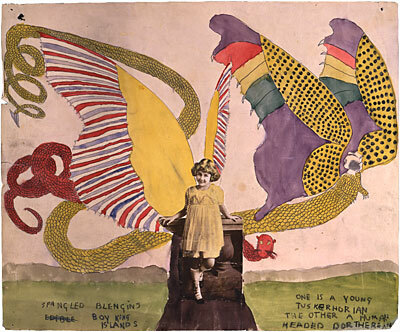 To most who encountered him, Henry Darger was a quiet little man in an army overcoat. He lived alone in a one-room Chicago apartment, attended Mass daily, and swept the floors of the local hospital. The old man appeared to have no family, no friends, and accepted help only from a select few neighbours who couldn’t agree on how to pronounce his name. 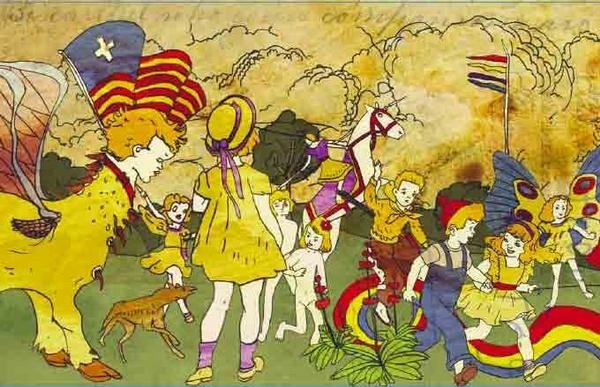 But in the early 1970s, when Henry Darger became too frail to care for himself, his astonishing inner world was finally uncovered. In his tiny apartment, Henry left an autobiography, hundreds of visionary paintings, and perhaps the world’s longest novel – over 15,000 pages. His landlords were astonished, and took the decision to preserve Henry’s room and its extraordinary contents. 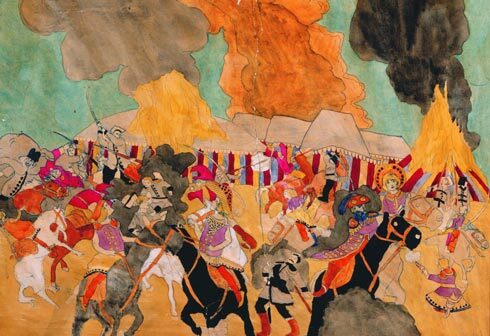 He is now considered one of the twentieth century’s greatest outsider artists. 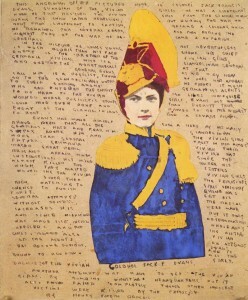 With no artistic training, the reclusive Henry had taught himself how to trace, colour and enlarge the vast collection of ephemera he amassed since the early 1900s, turning sweet Americana into what he called The Realms of The Unreal. 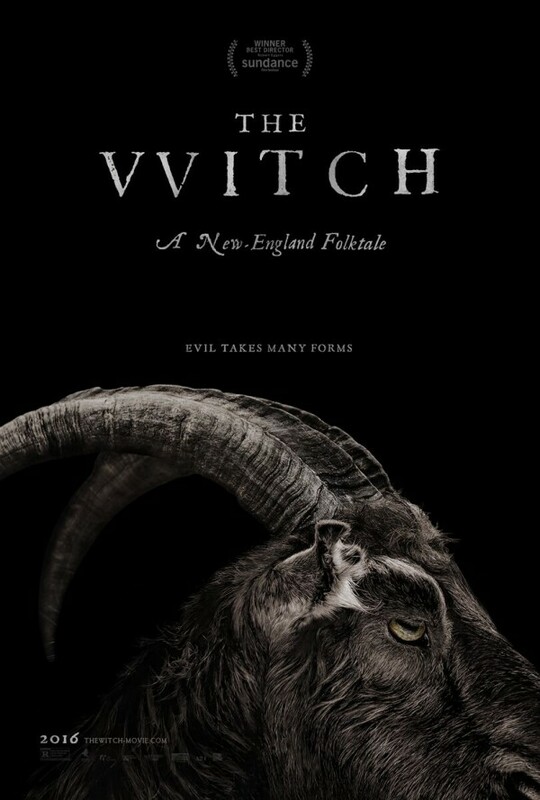 Violent, funny, optimistic and fatalistic at once, his is a world in which children live under the constant threat of evil, where little girls are as brave as grown men, and where supernatural creatures live to protect children – and often fail. So what was Henry like as a child? His story is an unhappy one. Born in 1892, Henry was a socially-awkward little boy, pushed from institution to institution in an age when children with learning disabilities were even more vulnerable than they are today. 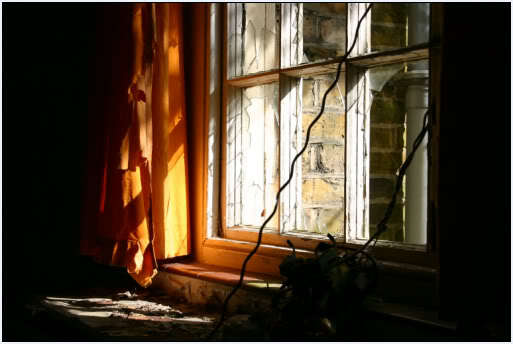 Orphaned early, he saw how children fared in such environments without a caring adult hand. In his autobiography, Henry talks about a time he was lashed by the wrists to the back of a galloping horse as punishment for an escape attempt. Many of his artworks linger on the act of strangulation. Henry went on to serve in the First World War. Though he never saw active combat, the military experience stayed with him, increasing the vividity of the imaginary conflict he called The Glandeco-Angelinian War Storm between the Christian nation of Abbieannia and the vicious Glandelinians who kidnapped and collected child slaves. In these fictional battles, Henry had the chance to fight back. Henry wrote two endings to his epic: one in which the Abbieannian Christians save the children, and another in which evil triumphs. In terms of imagination and detail, The Realms of The Unreal reminds me of Pauline Parker and Juliet Hulme’s Fourth World, and the Brontë siblings’ Angria and Gondal. Interestingly, these private worlds featured the authors as deus ex machina called ‘genii’. Henry wrote himself into The Realms of The Unreal as the leader of ‘the gemini’, the elite protectors of children. In reality, Henry longed for a child of his own. He petitioned the Catholic church to allow him to adopt, but his request was repeatedly refused. Henry didn’t have the $5 a month it would take to look after a dog. After being taken from his home to the infirmary, the elderly Henry faded fast. His neighbours clubbed together to clean his apartment, whereupon they unearthed a life’s worth of work. No one had suspected the quiet man capable of such far-reaching vision and tenacity. 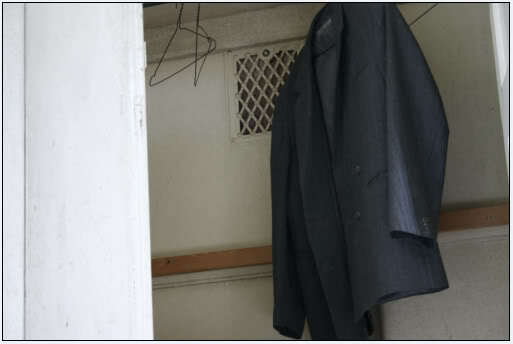 Henry’s reaction to the discovery of his secret world: “Too late now.” He died on April the 13th, 1973. 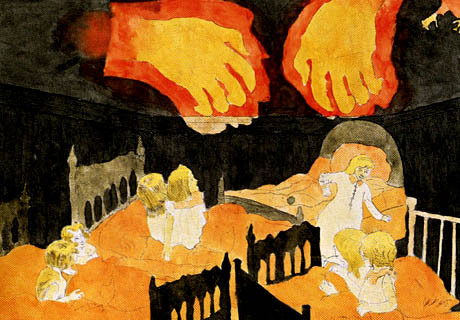 If you take one thing away from the Henry Darger story, it’s the importance of creation. It doesn’t matter if you can’t draw to prize-winning standard, it doesn’t matter if your spelling is atrocious or you haven’t read the canon of Western literature. If you have something inside you, get it out. Let it flourish on your terms. As Rossetti said, it’s “fundamental brainwork”, not “academic frippery”, that wins in the end. The Internet, like the material world, offers places you’ll stumble across and never find again. An hour’s exploration can stay with you for years, long after the original site has disappeared, changed it’s name, or been wiped away by progress or neglect. 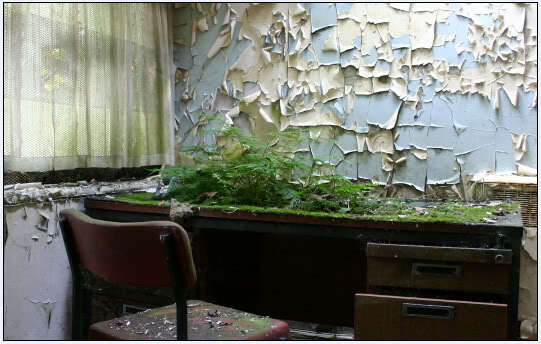 I came across photographer Mechanised’s images of Cane Hill Asylum on Livejournal years ago, and of all the teeming galleries of urban exploration you can trawl through online, this one left an impression. The photos struck a sensitive balance between the human narrative of the building’s original function and the beauty of the decay, and when I recently rediscovered the gallery’s new location – an accident – all the images packed their original punch. 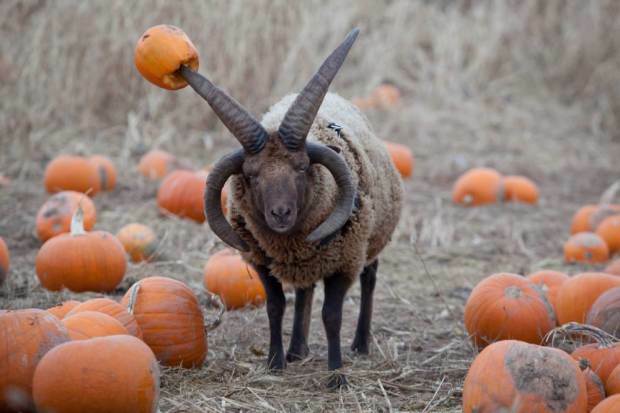 Mechanised indulges in none of the pound-shop Halloween gimmickry you often get with urban exploration. The overflowing drawers of patient art are particularly poignant. 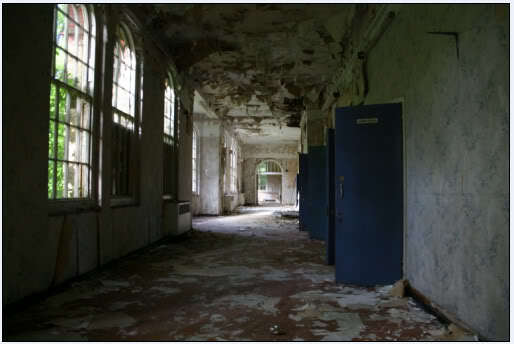 Post-war, wards at Cane Hill were named after historical luminaries in an attempt to lighten the stigma of the asylum. 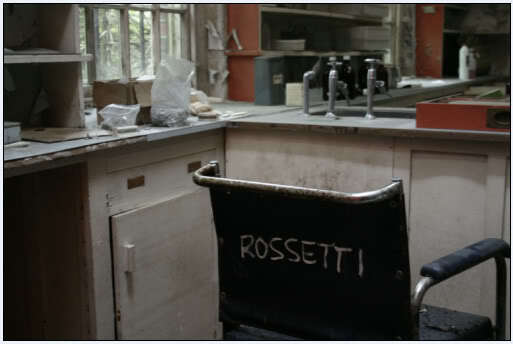 Waiting in the pharmacy, this wheelchair is from Rossetti ward – named for Gabriel, not Christina. Considering his mental health, it’s an affecting image. David Bowie’s half-brother Terry died on the railway tracks outside the hospital. 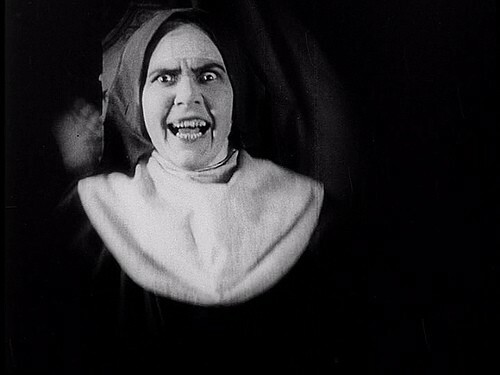 Charlie Chaplin’s mother was a patient here. 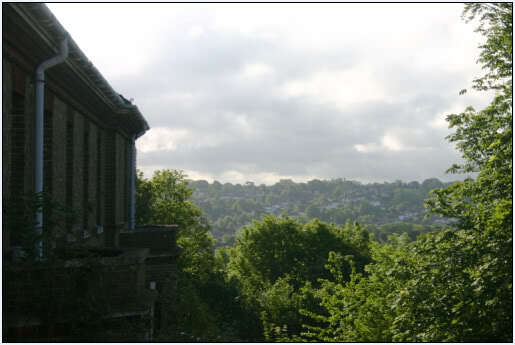 Cane Hill was demolished after arson and flood made it unwelcoming to prospective buyers. The land is now being offered up for flats. As Mechanised says, London is a ruthless city. Victorian medical photography often crosses the border into art. There’s a soft, fetishistic quality to even the most gruesome of images. There’s something about spines in particular that catches my attention. 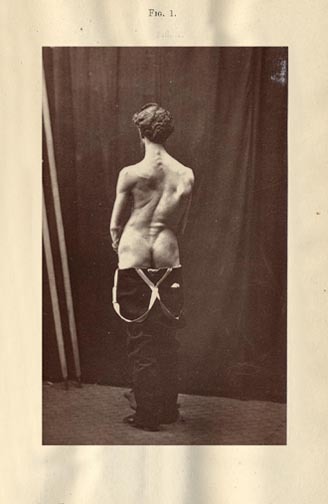 Whether it’s the fact that I narrowly dodged the genetic scoliosis bullet, or that spines are anchored to our language of courage and stability, Lewis A. Sayre’s 1877 publication, Spinal Disease and Spinal Curvature (which you can download free at archive.org) stands out in terms of beauty and weirdness. 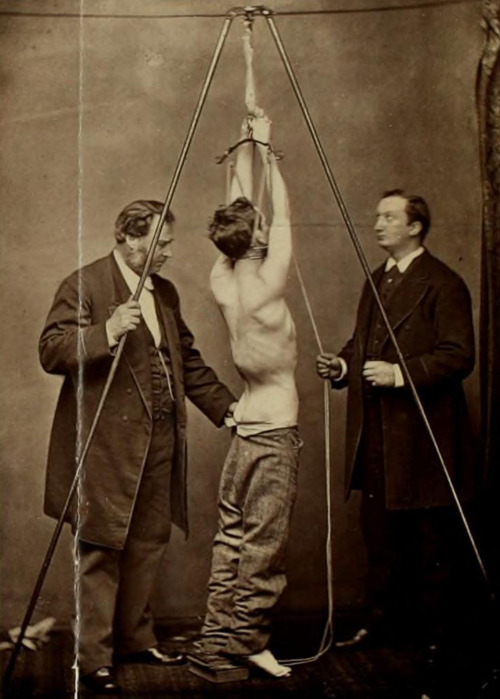 Sayre – shown above – recommended patients with spinal curvatures suspend themselves twice daily on a contraption resembling a tripod for flogging errant soldiers. The result were these strange photographs, with Sayre and his aides standing by like attendants to martyred saints. Many of Dr Sayre’s patients are described as working class labourers, ‘stout’ and ‘surprisingly’ healthy, including children whose parents attributed their deformities to heavy manual work; lugging pails of coal, bad school conditions, and the repeated trope of the severe fall in infancy. After treatment, they are nearly all reported to be interacting with nature, paddling ‘stockings off’ in seaside rockpools, feeling ‘no fatigue’ on long country walks and rounds of croquet, as if transported from their working class lives into a J. M. Barrie fantasy. These images are the purgatory between those two stages.